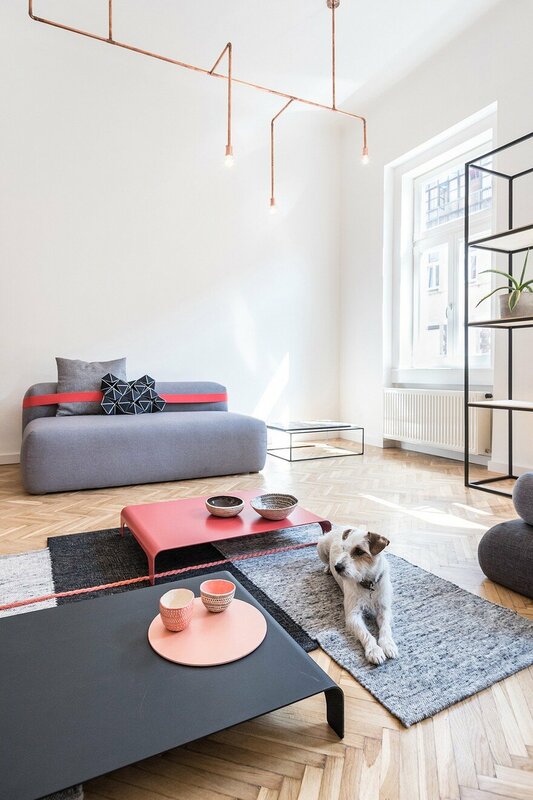 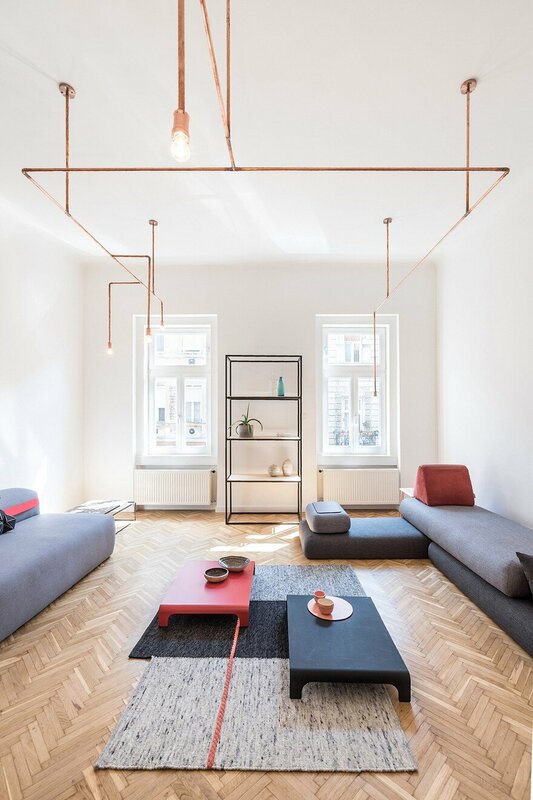 The location of architectural intervention (home remodelling) is one of the apartments in a turn-of-the-century tenement building in Budapest. 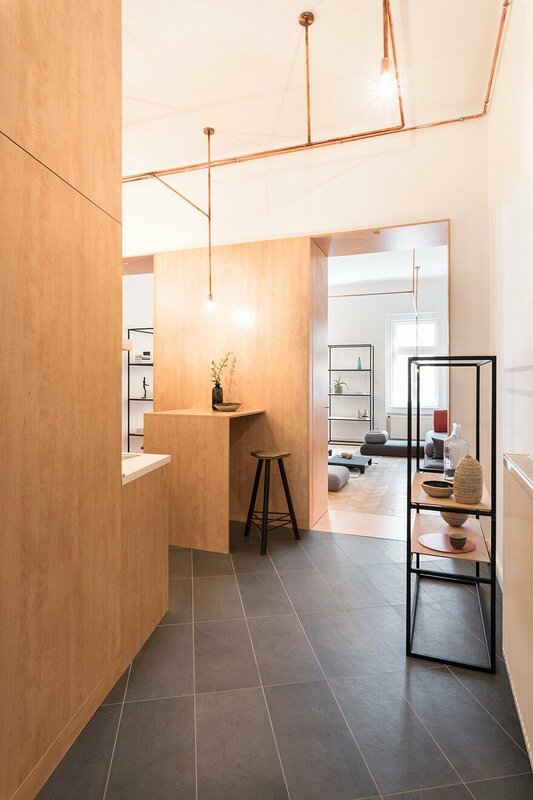 The concept only allows the use of necessary and mostly natural materials, furniture and accessories to rearrange the spaces of the home. 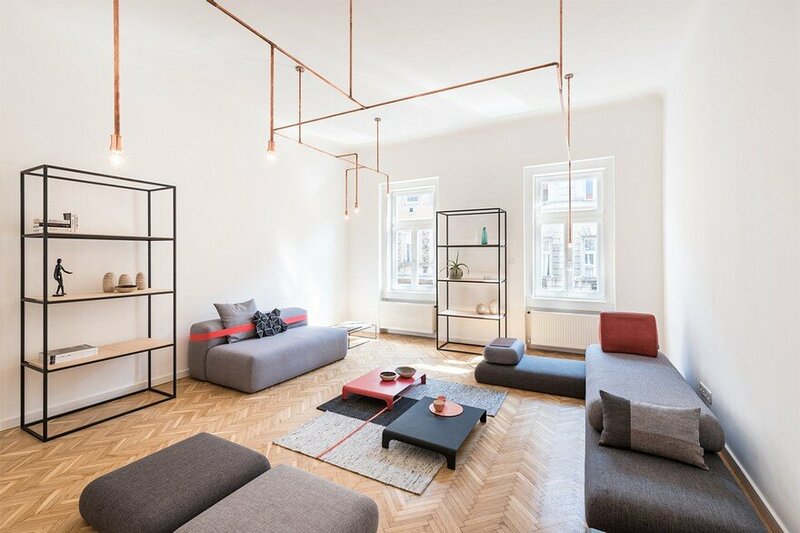 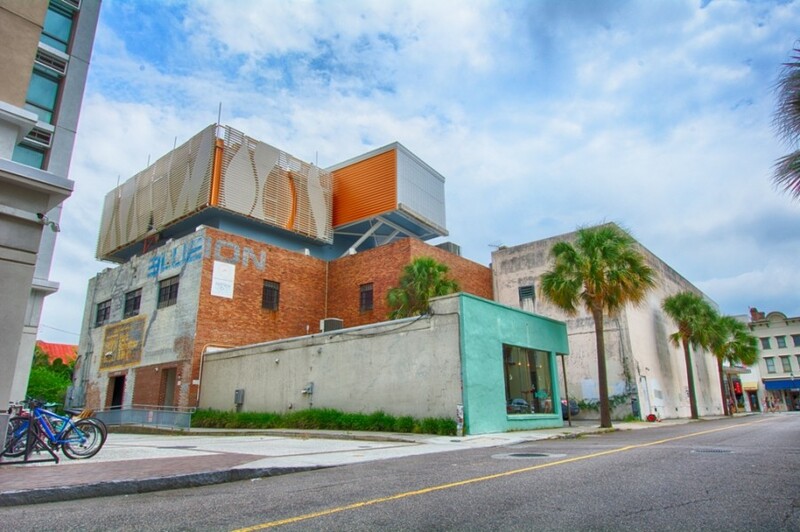 The boundaries of the new, reorganized spaces are outlined not only by demolished and new walls but by a new multifunctional piece of furniture as well. 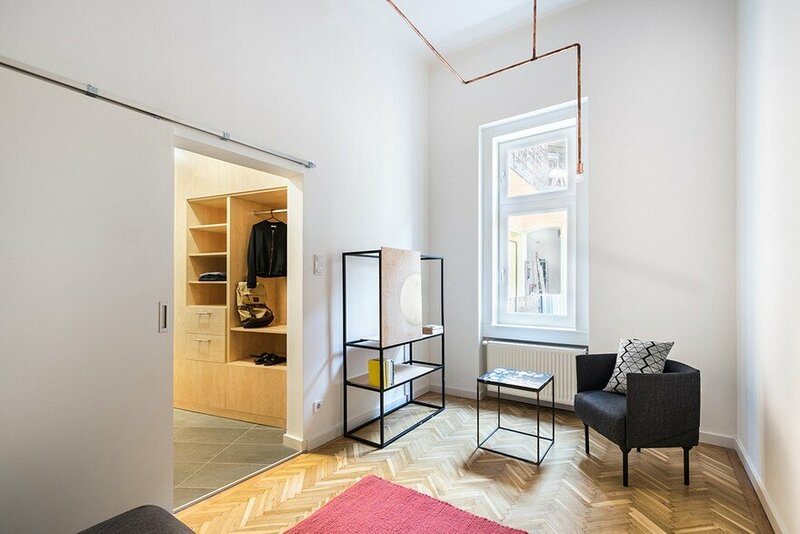 It is an anteroom closet, a wardrobe, a kitchen table and a dining table in one. 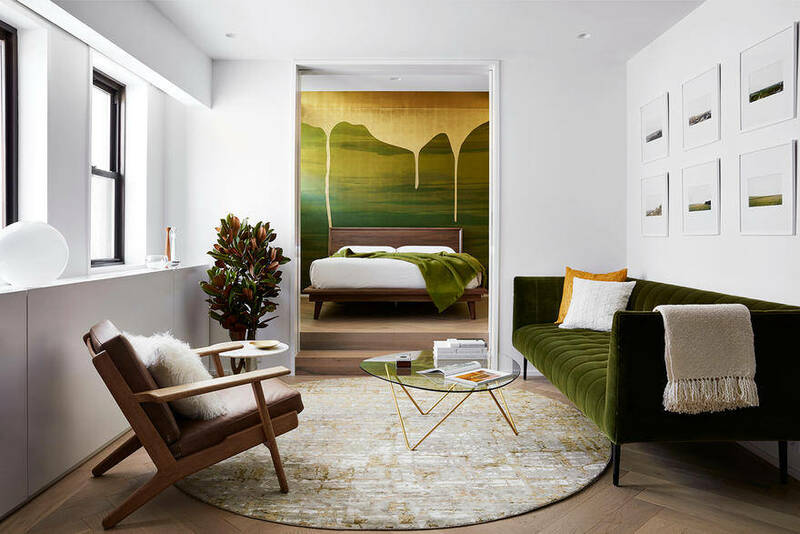 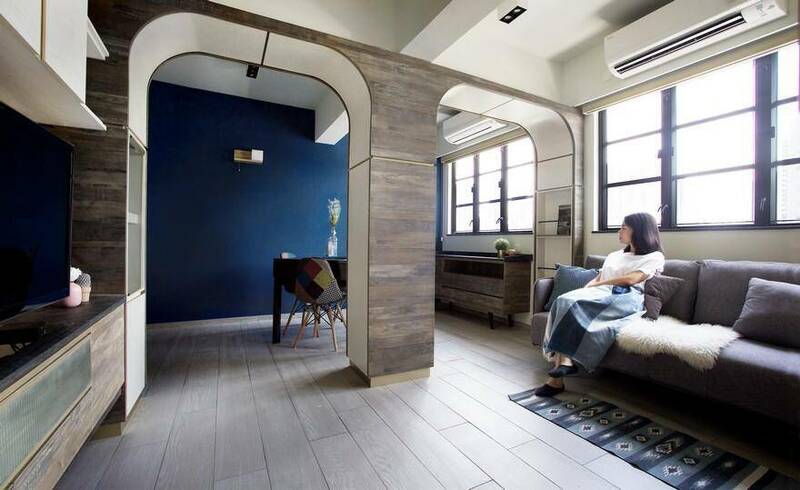 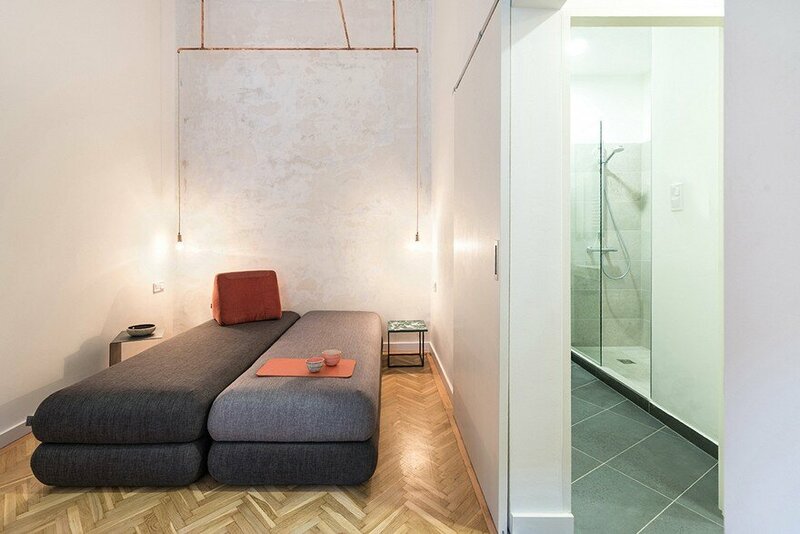 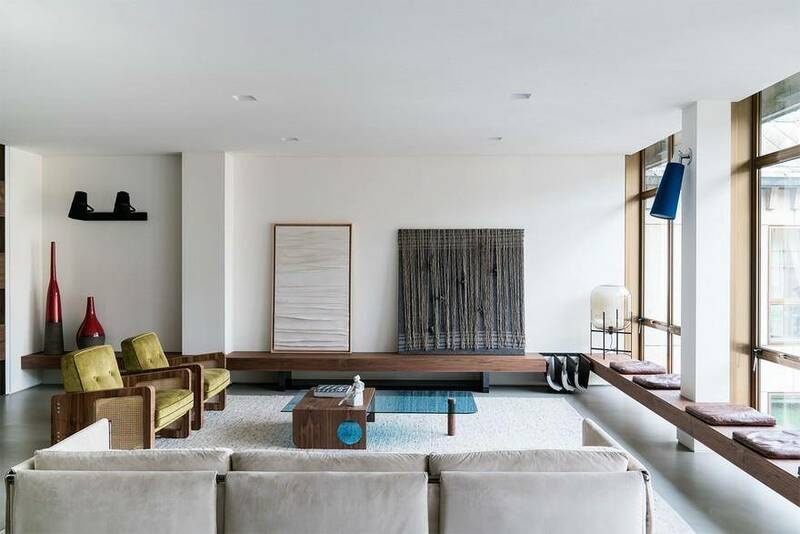 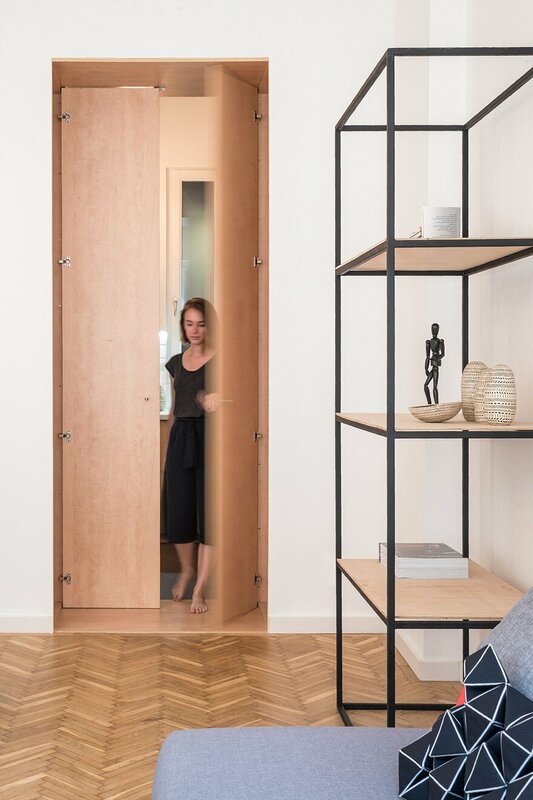 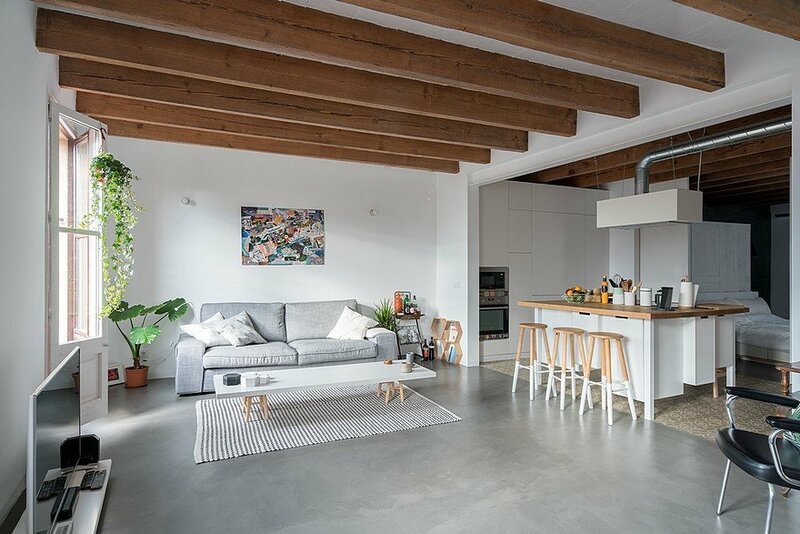 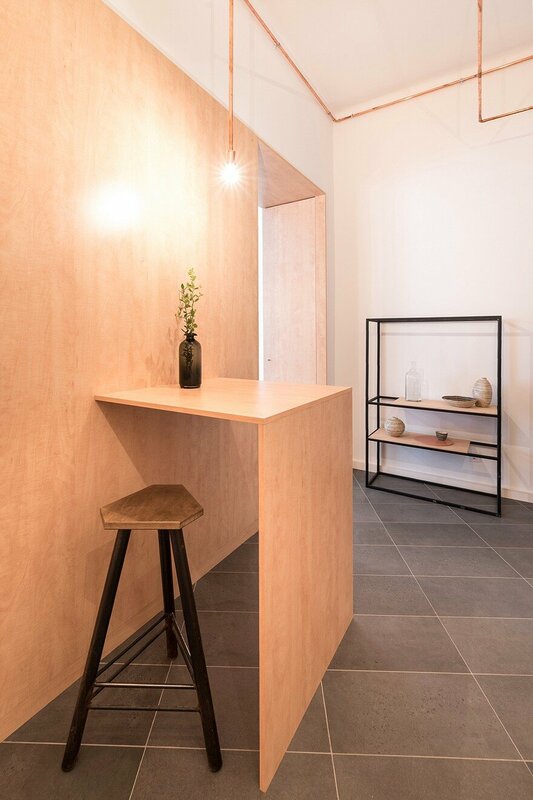 This permanent piece of space divides the rooms of the apartment but also connects them through its openings. 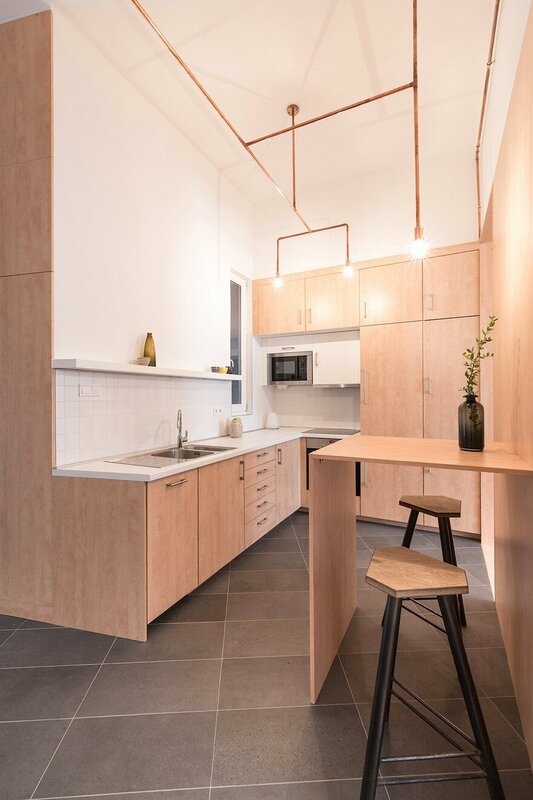 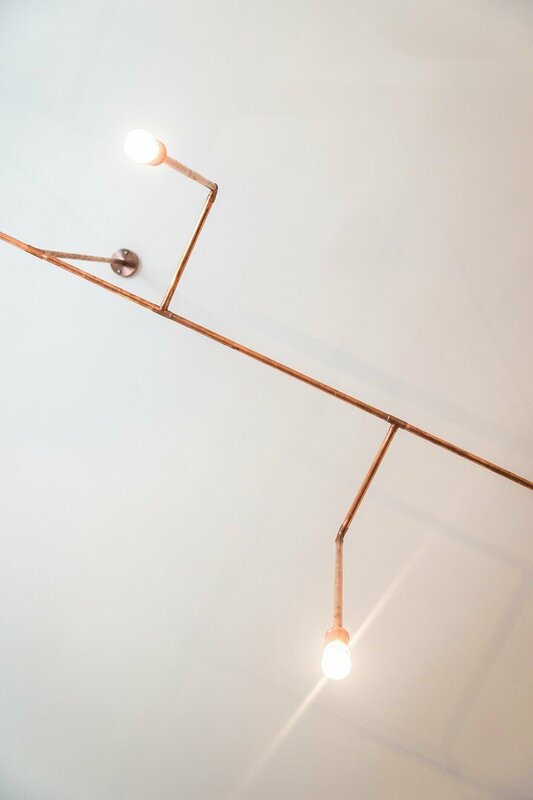 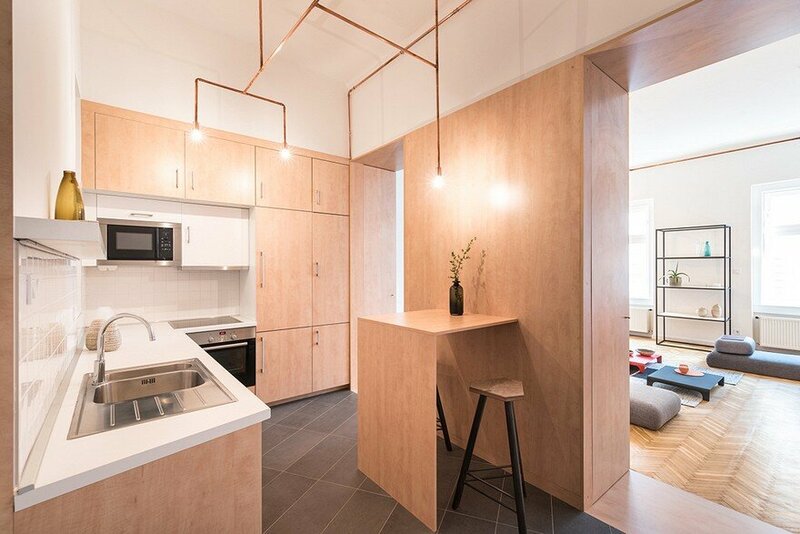 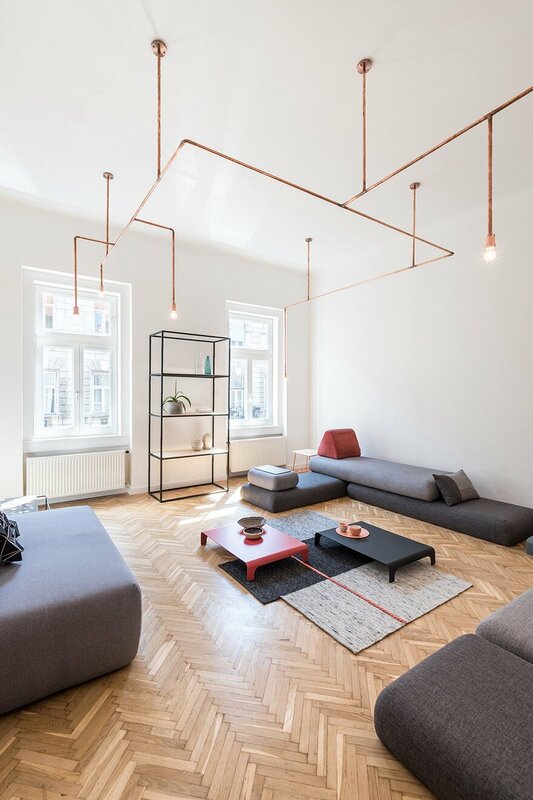 The common element in all rooms are the zigzagging lines of copper wire that are the lighting system of the apartment. 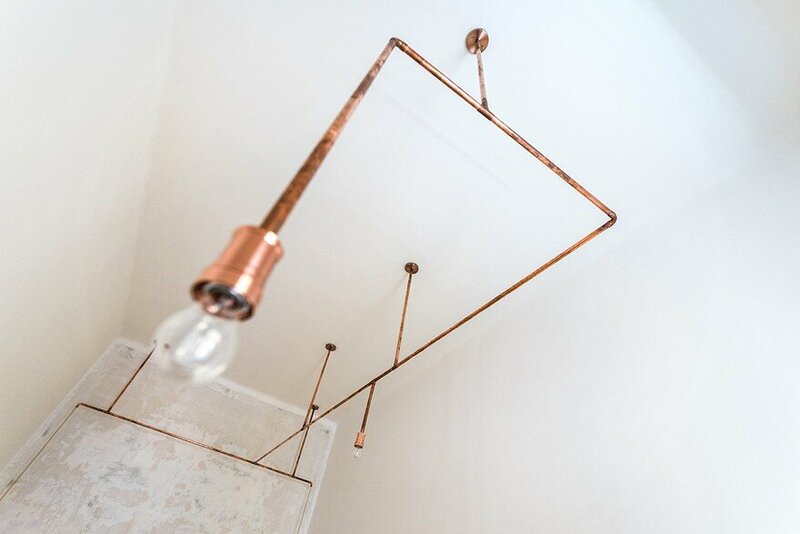 Using copper quotes old times, but the way it is used is coherent with the spirit of today’s trends. 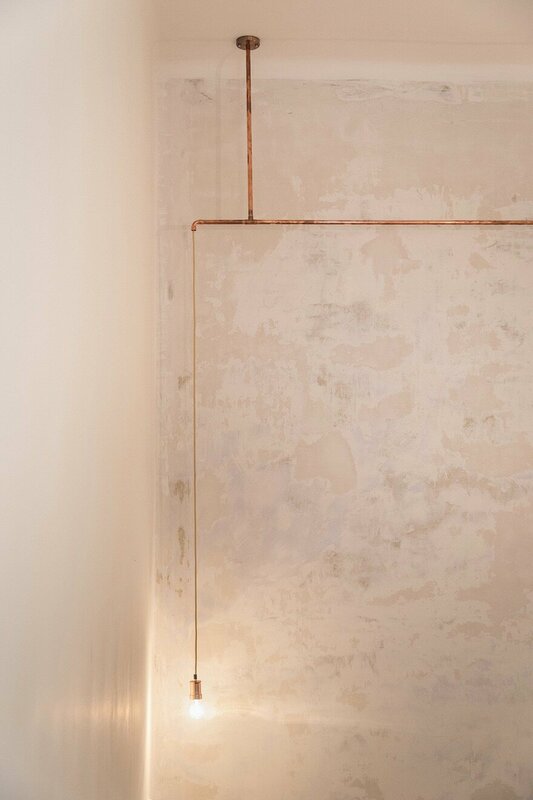 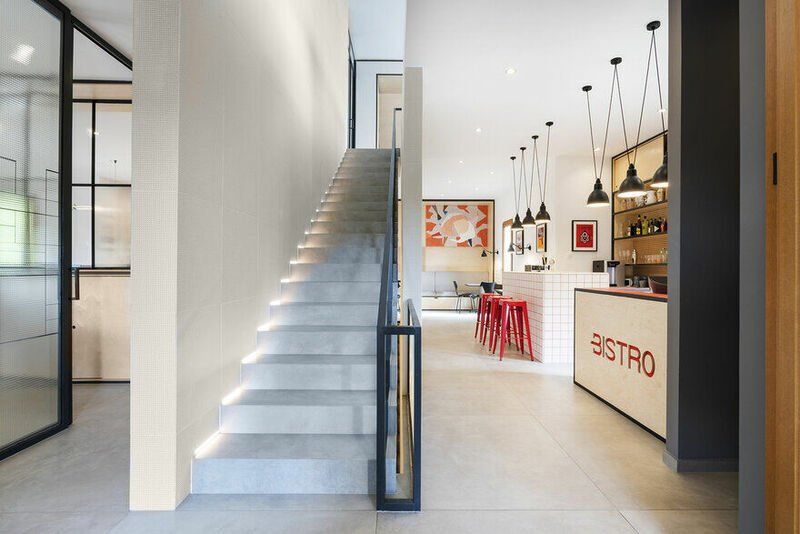 It gives light, highlights the main spots of the apartment, guides the eye. 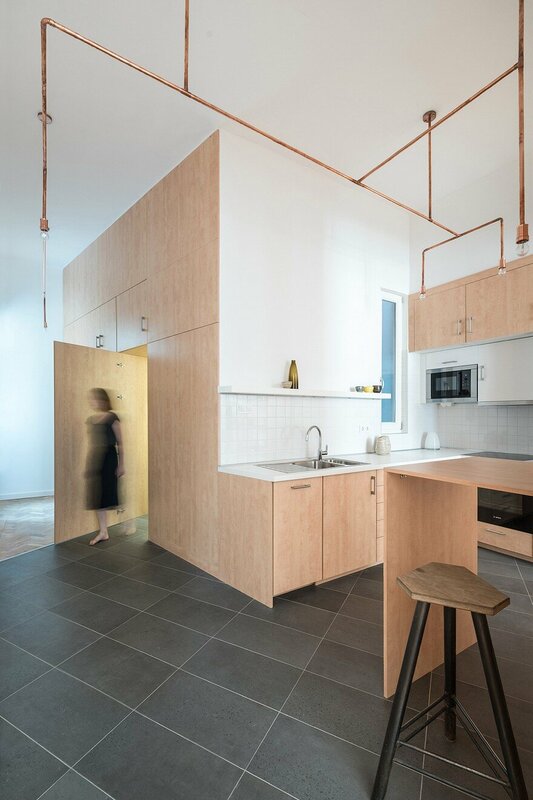 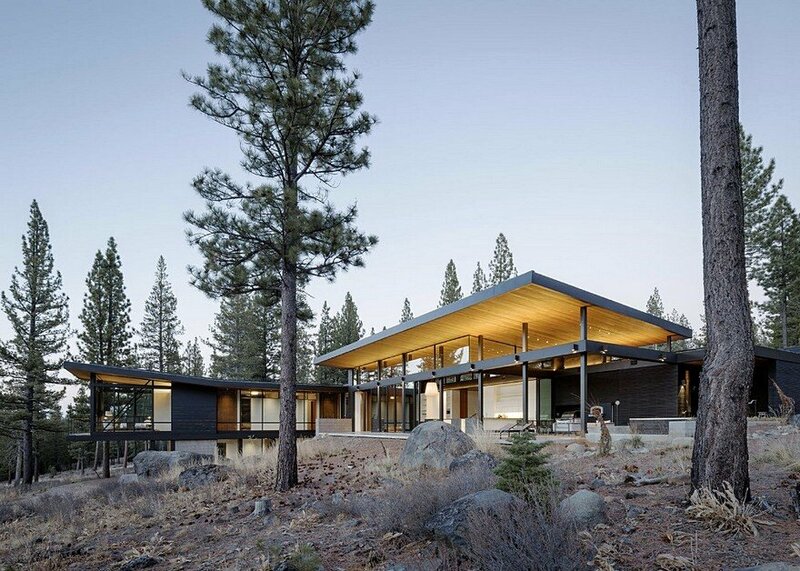 Elements of the fixed system shed light on the place of arrival, cooking, dining, reading and the area of social life. 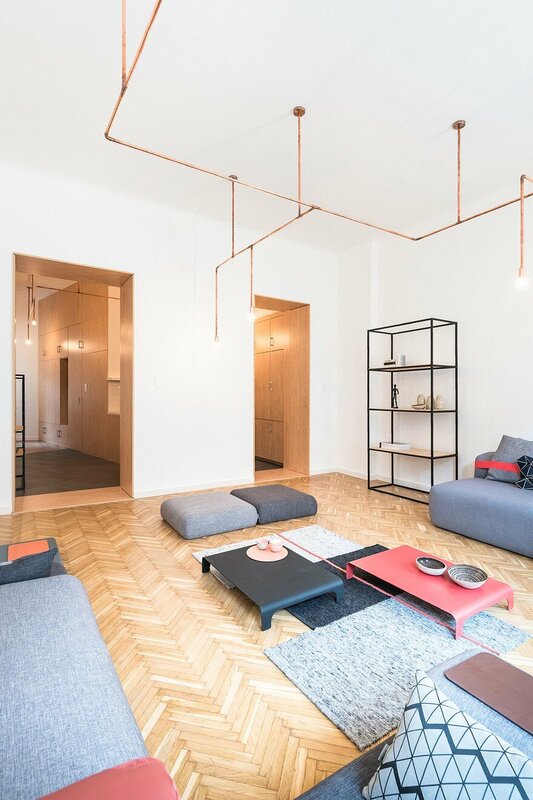 This web that weaves through the home does not only contain light sources but also strengthens the unity of spaces and endows the apartment with a unique identity.